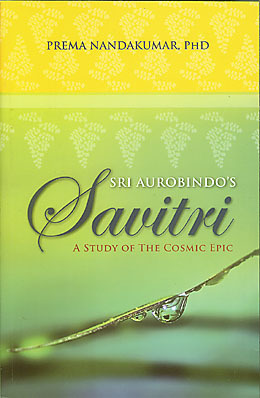 One of the new publications in this issue, available again after many years, is Sri Aurobindo’s "Savitri": A Study of the Cosmic Epic by Prema Nandakumar. 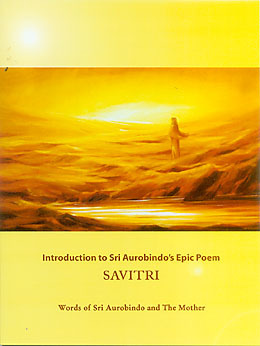 In the years since Savitri first came out in print, the poem has engendered numerous books, lectures, and seminars, all seeking to understand its profundity or appreciate the transcendent beauty of its poetry. 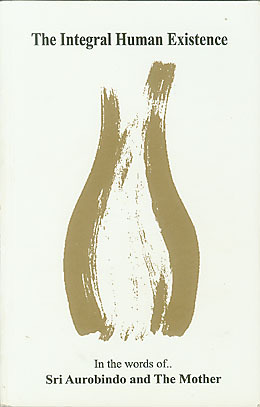 This work, first published in 1962, was one of the early efforts. 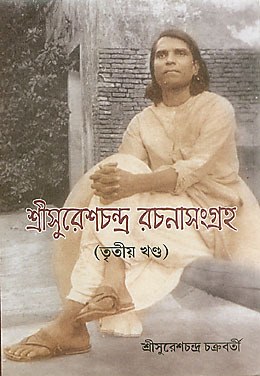 Notably, the author was the first student to take up Savitri as a doctoral study, and this book is substantially the same as the thesis for which she was awarded her PhD in 1961. In the Preface she acknowledges that as she worked on her thesis, she was fortunate to have recourse to the advice and encouragement of several respected Sri Aurobindo scholars: A. B. Purani, M. P. Pandit, K. D. Sethna, and, most notably, her father Prof. K. R. Srinivasa Iyengar. We have here gone beyond logic and metaphysics, ethics, politics and philosophy; beyond debate and argument, theorising and demonstration; the thing itself – the cosmos – is there before us, it awes and dominates us, it seizes and possesses us. And, wonder of wonders, the Infinity which Aswapati spans across as he races up and down the Stairway of the Worlds and the Zero that Savitri tracks down in its innermost cave of the inner countries—they are the same! How can the mere mind grasp these paradoxes of cosmic sovereignty? I think I have found out the canker in my physical consciousness, the very cornerstone of the obstacle that prevents any dynamic manifestation of the Power in me. It is a very strong and solid formation of doubt and distrust and cynicism entrenched in a far-off backyard corner, and from there exerting its searing influence. I have the impression that it is a sort of stout, stumpy person, sitting tight in his cosy seat, and sometimes smiling with a sardonic smile. It was always there but I never wanted to recognise it….Viewed from the standpoint of the entire consciousness it occupies such a tiny place, it seemed it could be almost neglected, and that is what I was doing so long. It seemed to me it did not matter that this insignificant corner does not recognise what the rest of the consciousness so easily accepts….This worm ensconced in the very bedrock of the spiritual life must be pulled out and crushed….It is a sort of octopus that is spread out underground and swallows up all the gifts and blessings that come from the Mother. Am I correct in my diagnosis? Manoj-da remarks that this total surrender of all aspects of his being, even the most recalcitrant and unpleasant, was Nolini-da’s secret to becoming a “wayfarer of the sunlit path”. 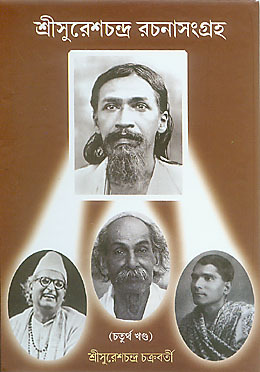 It is only quite recently that the necessity of a collective reality began to appear, a collective reality not necessarily limited to the Ashram but embracing all who have declared themselves – I do not mean physically, I mean in their consciousness – as disciples of Sri Aurobindo, and who have endeavoured to live his teaching. In all of them, and more strongly since the manifestation of the supramental Consciousness and Force, the necessity of a true common existence has awakened, which is based not merely upon purely material circumstances, but represents a deeper truth, and which is the beginning of what Sri Aurobindo calls a supramental or gnostic community. In the other compilation, The Integral Human Existence, we find similar notes among the themes which the editors have chosen to develop. The texts drawn from the works of Sri Aurobindo and the Mother outline the nature of the modern world’s existential crisis and describe how mankind can find the key to its solution and move assuredly forward in an evolutionary ascension towards an integral human existence for the individual and the race. 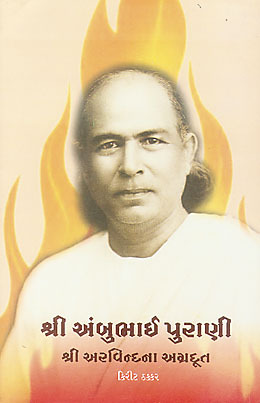 Now in its third edition, this study of Savitri has a wide scope. Part I sets the stage by looking briefly at Sri Aurobindo’s life and work and the place Savitri occupies there. Part II examines the poem canto by canto in all its elements: the epic story, the poetry, the philosophy, the mystic experiences, the yogic realisations, and Savitri’s final victory for the earth and man. Part III considers the significances of Savitri, as a legend and a symbol, as a continuing experiment in overhead poetry, as a cosmic epic in relation to human thought and experience across the ages. The detailed references, select bibliography, and index complete the work, which was the author’s PhD thesis. The book was out of print for a number of years. 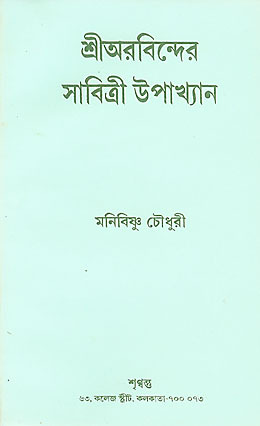 This booklet is a collection of the talks given by Manoj Das Gupta on the occasions of the birth centenaries of Nolini Kanta Gupta in 1989, Nirodbaran Talukdar in 2003, and Amal Kiran in 2004. 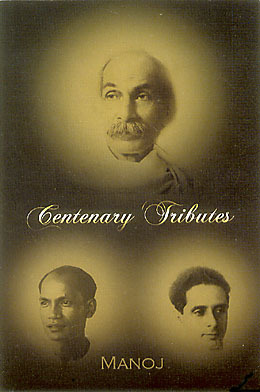 The affectionate tributes to these three respected sadhaks are marked by the speaker’s admiration for their humility in the practice of the Integral Yoga, and an appreciation for the sincerity, poignancy, and sense of humour that characterised their journeys on the path of sadhana. 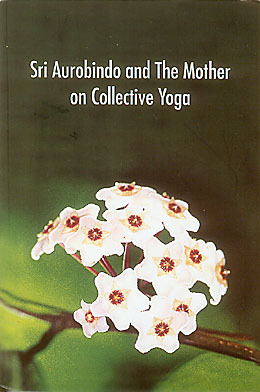 The passages in this compilation touch on several aspects of the collective side of the sadhana, such as the true meaning of a spiritual hierarchy, the conditions required to create a gnostic collectivity, the interdependence between the individual’s progress and that of the collectivity, and the value of collective prayer and meditation. They illustrate the fact that a representative group of aspiring souls is required for the complete realisation of the Integral Yoga and the manifestation of a new and transformed life. 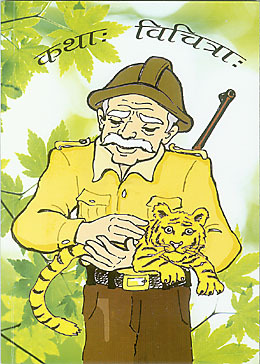 This is a new edition of the book, issued after many years. This compilation examines the quandary facing the modern world in its search for self-fulfilment, and affirms the discovery of the spirit within and the power of that spiritual self-knowledge as the key to an integral human existence for the individual and the human race. The compilers have organised the selected texts, drawn primarily from Sri Aurobindo’s The Life Divine and The Human Cycle, into sections of suggested themes. Beginning with a statement of the current crisis of human destiny, the extracts deal with the increasingly evident need for a spiritual solution to the crisis, the search for the truth behind the realities of life and matter, the transforming power of the supermind, and the nature of a future existence as fully conscious beings.